INTRODUCING AN UNRIVALED SUSPENSION KIT THAT DELIVERS UNPARALLELED PERFORMANCE. ARB 4×4 Accessories is proud to announce that the new OME BP-51 High Performance Bypass Shock Absorbers are available in a kit for the Jeep Wrangler JK. Bringing racing technology to your adventures, the OME BP-51 shock absorbers feature revolutionary, patent-pending technology developed by the Old Man Emu engineers to deliver unparalleled on and off road performance. This application of OME BP-51 High Performance Bypass Shock Absorbers has been engineered specifically for the Jeep JK Wrangler looking to achieve a desirable 4” height mark. 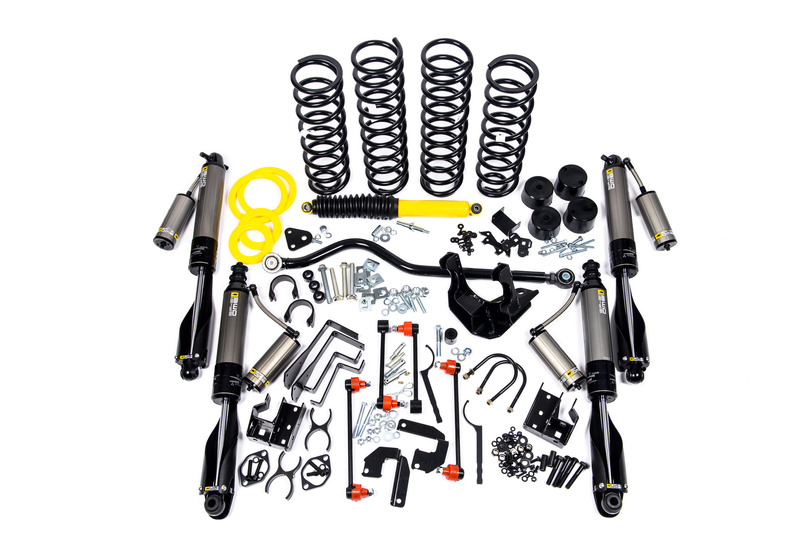 This kit consisting of 4 shocks and 2 fit kits will fit both the LWB (Unlimited) and SWB variants for all year models from 2007 onwards, along with coils and a full list of other necessary components to keep a Jeep in alignment at the 4” level. The BP-51 shock absorbers offer damping performance that is easily adjustable across a wide range in both rebound and compression, allowing the user to adjust the vehicle’s ride performance and cater for different road conditions and vehicle loading scenarios.